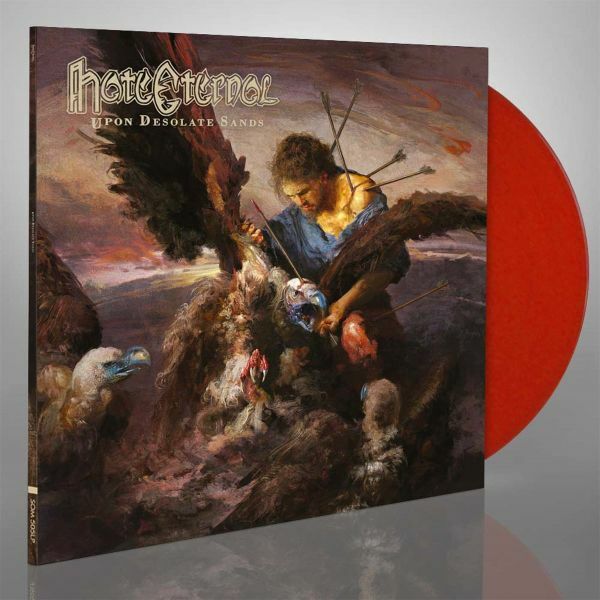 HATE ETERNAL - UPON DESOLATE SANDS RED VINYL (LP) | Online Shop | Wizard LTD. Album: "UPON DESOLATE SANDS RED VINYL (LP)"
HATE ETERNAL&apos;s new full-length doubles down on their patented, high-velocity assault of dizzying ferocity combined with wide-range dynamics, outstanding songwriting and skull-crushing brutality. HATE ETERNAL delivers extreme music at the highest level. There can be no doubt that &apos;Upon Desolate Sands&apos; will be regarded by many as the best death metal record of 2018!